Processed Scrap Metal — Excluded scrap metal (processed scrap metal, unprocessed home scrap metal, and unprocessed prompt scrap metal) being recycled. See 40 CFR 261.4(a)(13). When a material is recycled, its regulatory classification (i.e., whether or not it is a solid waste, and potentially a regulated hazardous waste) depends on two factors: what type of secondary material is being recycled and what type of recycling is occurring. To address the goal of encouraging recycling while protecting human health and the environment, EPA has tailored the level of regulation to reflect the actual hazard of the recycling activity. In this approach to regulation, recycling standards range from full regulation to specialized standards to exemptions from regulation. On January 13, 2015, the U.S. EPA published a preamble and final rule that places new restrictions on recycling under the Resource Conservation and Recovery Act of 1976 (RCRA), part of the Solid Waste Disposal Act. Since 1980, EPA has interpreted “solid waste” to include materials destined for final, permanent disposal, while exempting materials designated for recycling. 4) The product produced by the recycling process must be comparable to a legitimate product and cannot exhibit hazardous characteristics not found in analogous products. Scrap metal recyclers have historically avoided EPA regulation under an exemption found at 40 CFR §261.4(a)(13) for excluded scrap metal (processed scrap metal, unprocessed home scrap metal, and unprocessed prompt scrap metal) or 40 CFR §261.6(a)(3)(ii). Scrap metal recycling provides a useful contribution to the valuable final product of the recycling process, thereby satisfying the first two legitimacy factors listed above. If the recycler uses good practices to store and manage scrap metal (including the practice of storing the scrap on the ground) to prevent releases of hazardous secondary materials to the environment, the recycler would generally meet factor 3 for managing the scrap metal as a valuable commodity. Finally, as long as the final recycled metal does not exhibit hazardous characteristics not found in analogous products, factor 4 will be satisfied. Under RCRA, EPA may authorize states to administer and enforce their own hazardous waste programs in lieu of the federal program. Authorized states are required to modify their programs only when EPA enacts federal requirements that are more stringent or broader in scope than the existing federal program. In states that are not authorized to administer their own hazardous waste programs the new regulations described above will be applicable immediately on the effective date of July 13, 2015. Auto Shredder Residue (ASR) or fluff is described as the non-metallic waste product that results from the reclamation process of recyclable ferrous and non-ferrous metals. The primary source of recyclable materials comes from automobiles, truck, buses and common household appliances such as washers, dryers and refrigerators. 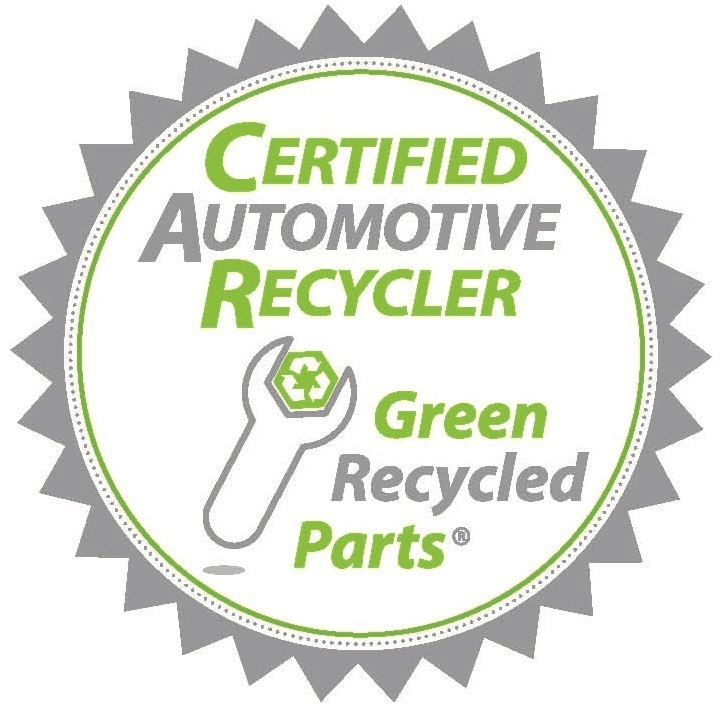 According to estimates from the automotive industry, 95% of all motor vehicles removed from service are processed for recycling. On average 75% of a vehicle by weight is recycled. The remaining 25% of the vehicle is commonly landfilled. This remaining fraction of the vehicle is the auto shredder residue. ASR generally consists of a combination of plastics, rubber, glass, wood products, cloth, paper, foam, dirt, and electrical wiring. Use of auto shredder residue as daily cover at landfills has been ongoing since the late 1980s. ASR undergoes testing based on the federal Toxic Substance Control Act (TSCA) requirements. 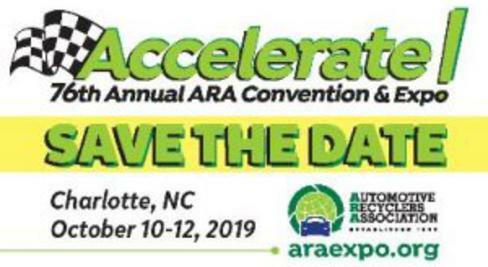 The ASR is then designated for beneficial reuse as cover for landfills so that is why it is important to remove all possible toxins for the vehicles before crushing for scrap metal. Some states have beneficial reuse policies for ASR, glass and tires as well as other solid wastes not automotive related. Most regulations tell you what you have to do to be in compliance, but they don’t explain how to do it. That’s where "best management practices" come into play. BMPs are methods that help you to get into compliance and stay there. The following BMPs are recommended for management of scrap metal. The metal is returned to a commodity-like state by removing all the toxins. 1. Does the facility generate evacuate the fluids from junk vehicles before crushing? 2. Does the facility remove mercury switches from junk vehicles before crushing? 3. Does the facility remove lead components (such as batteries, battery leads, wheel weights) from junk vehicles before crushing? 4. Does the facility remove batteries from junk vehicles before crushing? Beneficial use can reduce or eliminate disposal costs and it has a highly positive impact on our dwindling landfill capacity. The definition of beneficial use varies from state to state, but generally, it refers to the utilization of solid wastes as effective substitutes for raw materials in commercial products. Before someone can implement beneficial use, most states require that a beneficial use determination (BUD) be performed. Many states have predetermined BUDs and also provide a process where someone can submit a petition for a material not previously approved for beneficial use. When operating under a BUD the specific wastes used by a generator or end user in the approved manner are not considered solid wastes.